I haven’t written much lately because I haven’t been all that excited about fashion or the industry lately. I guess I could have written about all the latest fashion trends on the red carpet at various fashion events, NYC Fashion Week, award shows, etc., but none of that has excited me much lately or quite frankly shown me anything all that new and innovative… until now! The multi-talented, multi Grammy award winner and style icon is bringing a great new fashion reality show to the Style Network called “Styled to Rock”. Many things fascinate me about this show, first Rihanna does have a very unique style or her stylist does! The contestants will get an opportunity to work with A list celebrities in the music business and that definitely is fashionable. Lastly one of the production companies behind this venture is Will Smith’s company, Overbrook Productions… need I say more? The show is being billed as a show where “music meets fashion” (great slogan). It will be Style Network’s first-ever competition series from the executive producer and fashion icon Robyn Rihanna Fenty. The hour long 10-episode series will give 12 up-and-coming designers the opportunity of a lifetime to create unique fashion pieces for A-list celebrities. The stakes will be high as these driven artists vie for the title of America’s next trendsetting designer. Rihanna is inviting innovative designers who believe they represent the future of fashion to sign up here to be considered for the new competition series. 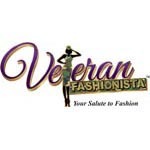 Until next time my Veteran Fashionistas as always, stay fashionable and remember to like us on facebook for your chance to win upcoming prizes!